Congratulations to all the authors and illustrators who have been recognized by ALA this morning at the 2010 ALSC Awards. Here is the comprehensive list of winners. So many people to individually congratulate, those who have stopped by the 7-Imp cyber-bungalow this year to have a chat and whom I feel I know a bit better, but if I list them, I’m afraid I’ll forget someone. The Caldecott winner (since I cover illustration and picture books so often here)? 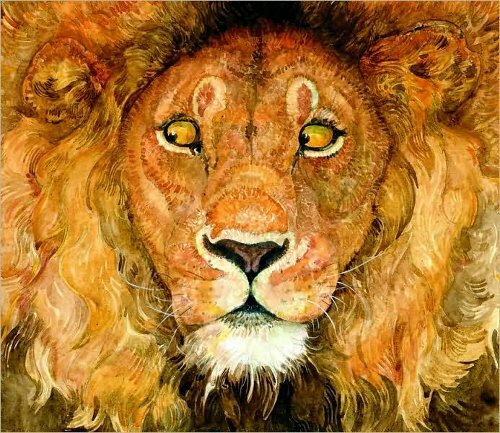 Jerry Pinkney’s beautiful The Lion and the Mouse (cover pictured above). Excellent choice. The Caldecott Honor winners? Well, go see! They’ve been snacking with me over breakfast here at 7-Imp this year. Congratulations again to all the winners! Once again, to see the comprehensive list, go here. That doesn’t seem to include, however, the Coretta Scott King winners (including TANITA S. DAVIS! ), the Pura Belpré winners, and some others, so be sure to look for those separately. As of this morning, when I type this, Heavy Medal: The Mock Newbery Blog has the truly comprehensive list here. Oh the list is so exciting. Such great choices this year. Two from portland got awards. Looking forward to reading what I have not read. Thanks for these links today! Yes! Congratulations to all the winners! I love all the Caldecott picks this year! I am so excited and so happy that Grace Lin won a Newbery Honor Award for WHERE THE MOUNTAIN MEETS THE MOON!!!!!!!!!! Hurrah for Tanita Davis and Grace Lin! Okay, hurrah for everyone else, too. It’s about time Jerry Pinkney got the Caldecott Medal.